I didn’t know he had written fiction. Really rare that a male writer is eclipsed by his wife. Will you read one of his novels now? Of the two novels, The Wise Virgins had the most appeal. I’d like to get to it at some point as I really the shorts. I had completely forgotten that he wrote fiction. I think I came acros one of his novels once but wasn’t interested at the time. A foreword by Victoria Gelndinning is tempting. I got hery biography of Rebecca West. His tales sound very well written but oldfashioned in the set up. Certainly compared to his wife. I thought of Turgenev’s First Love which I should read again. It’s certainly not a usual situation to see the husband foregoing the literary career in order to boost his wife’s writing. Too bad he didn’t write more, though. He was very talented. Oh, I’d love to read this. I read, last year, the Hesperus Press Dickens On travel. Lovely little book. 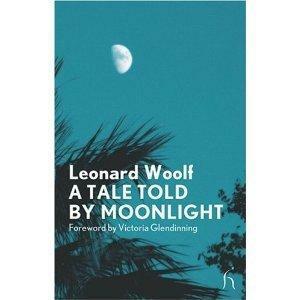 I haven’t read Leonard Woolf … like many I guess. Another one for the TBR. This was a pleasure to read, and I took it slowly–reading one story at a time and then taking a break. Haven’t seen the Dickens one. Village in the Jungle by Leonard Woolf is one of very best stories written about Ceylon as it then was and is recognised as such by the literary world not least in Sri Lanka where it is a set book.